Update 2018: So MANY new and innovative vegan and vegetarian food options have sprung up across Singapore. Check out my 2018 list of the best vegan and vegetarian restaurants in Singapore – to find delicious vegan food, the best vegetarian restaurants in Singapore and treats like vegan desserts and ice creams! Many people rave about Singapore being a food haven, but vegetarians probably try to steer that conversation towards shopping. Finding a satisfying vegetarian meal in Southeast Asia can be challenging, so I put together a veggie-loving, kind-to-your-wallet guide to finding some great vegetarian food in Singapore from all over the world. Click here to read my article on CNNGo. Warning: The following content may cause you to rub your tummy, salivate in temptation, and rethink all your dinner plans. A Nachos Mamasita, cheesy hot from the oven, and some good old frozen Lime Margaritas will set the mood for the night. Add to that a cozy, alfresco ambiance upstairs, a bunch of friendly staff and a live band on Friday nights. You’ll want to be talking Spanish by the time you wrap up your main course of Veggie Quesadillas and a Veggie Burrito. Don’t judge this small hideout at Greenwood Avenue by its name. It has a delicious, crispy crust, wood-fired Vegetariana Pizza on its menu. If you want to be experimental, order a half-n-half pizza with one of the other meatless options. Remember to sample some garlic bread while you wait for the pizzas and your taste buds will be grateful! Savor the ambiance of Holland Village by venturing into Lebanese cuisine at Al Hamra, where the ‘Zatar bread – Hummus dip’ combination will leave you craving for round two of appetizers. Resist the temptation to try the Vegetable Shawarmas for main course instead, and you’ll leave with a satisfied tummy. Be sure to watch the prices on the menu though; people often leave the restaurant with a bill shock. Anyone who has eaten at Murugan’s will assure you that you too will rave about the Idlis after you eat here. It’s probably impossible to find fresher, softer Idlis in Singapore and the Sambhar does them good justice. The ambiance is a small sacrifice to feel the Idlis melt into your mouth. Even if you hail from India, you’ll find the food at Kashmir to be delicious and authentic, yet different from the norm. The Tandoori Bharva Aloo and Vegetable Seekh Kebab, with Hindi music in the background, will be sure to warm up your appetite. Be a little more adventurous for main course and try Choq Wangan and Dum Aloo with Roomali Roti, and you’ll feel right at home in Kashmir. Any vegetarian who’s ever been to Marche in Singapore will definitely return. It’s a pure delight, both in ambiance and in the quality & variety of food. The Fresh Vegetables make for good appetizers, the Rosti (shredded potatoes) is a favorite with most patrons, and the Pizzas, Pastas and Wraps are fresh and very distinctly flavored. Their home-brewed Ice-lemon Tea and Lemonades are must-tries, and you won’t need any convincing to stay for dessert. Most people steer clear of Orchard Towers at night (for good reasons), but if you dare, venture up to the third floor during lunch for some delicious Thai food. The locals in Singapore miraculously seem to know about all such hidden joints in obscure buildings, and this is a rare find which serves vegetarian food that you’d want to go back for. Going through the menu is futile; order some Vegetarian (with egg if you prefer) Green Curry Fried Rice – it’s a yummy mash-up of white rice cooked in Green Curry that no respectable Thai Restaurant will ever make to order! Being vegetarian, this is the closest you can get to eating like a local, so be sure to soak in all the ambiance! Many vegetarians perceive authentic Chinese food as consisting of anything that moves! While largely true, many Chinese restaurants in Singapore offer a couple, if not more, purely vegetarian options. Din Tai Fung is a welcoming place to sample your first bowl of Steamed Vegetarian Dumplings in a Chinese setting. If your taste buds are resistant to bland food, try creating a Chilli-Vinegar dip for the Dumplings. Oh, and practice using Chopsticks before you visit this restaurant; you don’t want to be overheard asking for a fork and knife in embarrassing whispers. 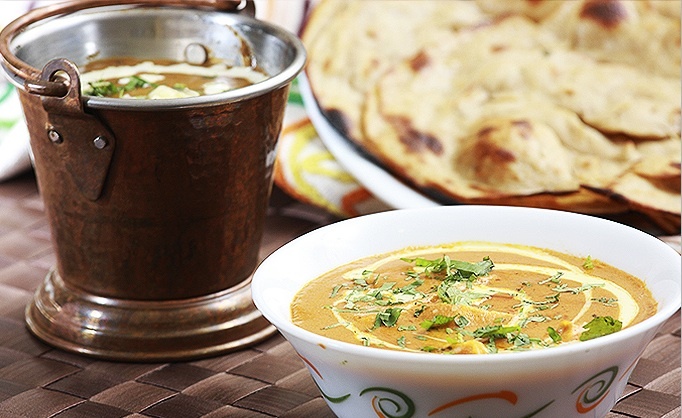 If you haven’t tried Indian food in India, you’ll be surprised at the range and flavors of Indianized noodles, dumplings and soups. Take your taste buds on a spice-filled journey, with Manchow Soup and Panfried Momos for appetizers. Schezwan Rice and Garlic-Chilli Hakka noodles make perfect accompaniments for almost all vegetarian main course options (each item on the menu is tastier than the next!). You probably won’t have space for dessert but some Kesar-pista Kulfi, India’s home-made version of ice-cream, would be perfect to round up the flavors of the night. Most people think of fast food as Mc Donalds but unfortunately in Singapore, it doesn’t serve up any veggie burgers. You’ll be much better off anyway eating a meal at The Soup Spoon. Sample some Minestrone soup, try Pita with home dips as an appetizer, and wrap up with a Mushroom Pesto Sandwich – you’ll fall in love with quick bites all over again and praise yourself for eating healthy! What are your favorite choices for veggie food? OMG YOU HAVE TO GO AND TRY THAT RESTAURANT! Sounds organic, but I’ll take your word for it & put it high up on my list of things to try. Thanks Daphne! thank for the information..thumbs up! Thank you for some other informative site. Where else may I get that type of info written in such an ideal method? I’ve a undertaking that I’m simply now running on, and I have been at the glance out for such info. Good work. Will try to explore some of the options. Nice recommendation. Any reason you left out Komala Vilas in Serangoon Road? Please check out the veggie table iphone app for some great vegetarian and vegan restaurants around you and around the world! Hi there, in any case you are organizing event and want some top quality vegetarian catering, please try SLS vegetarian. personal blog. Do you mind in the event I actuallydo it? Was searching 4 vegetarian try outs in singapore. Also Can try bollywood vegies. sorry but,have you even been to singapore?this place is a paradise for vegetarians with 100’s of 100% pure vegetarian resturaunts and hawkers.your choice of top 10 is very strange. I’m a vegetarian and I’ve been to all these places, and they all belong to the “must try” categories. Enjoy! I’m surprised you haven’t added Ling Zhi to your list. It’s amazing. Try it out the next time you’re here. type of clever work and reporting! Keep up the excellent works guys I’ve added you guys to my personal blogroll. hi,i would like to know for the article you wrote on must-try vegetarian food places, do the restaurants only sell vegetarian food? Original Sin has some of the best Vegetarian Italian food in Singapore. I’ve been a veggie since I was 8, while the rest of my family are all meat-eaters. This was still our family favourite for the 17 years we lived in Singapore! Next Postsee you in 2011.